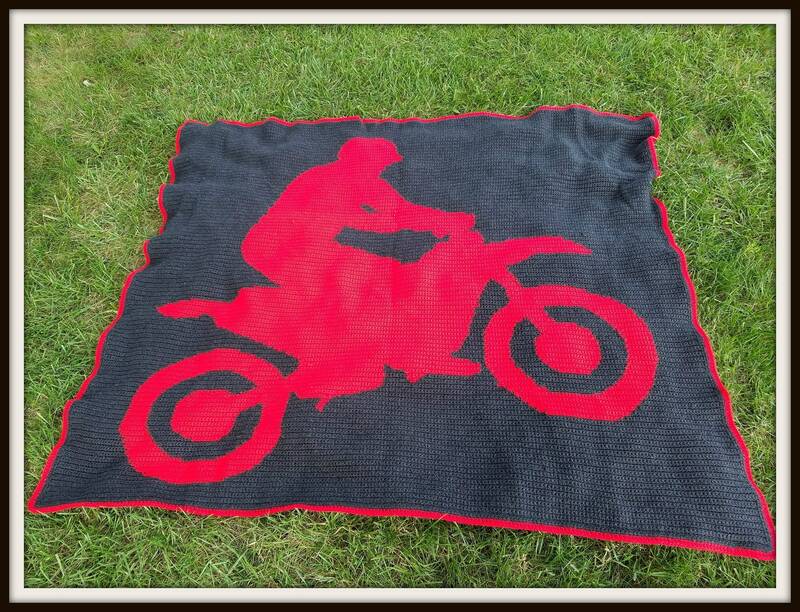 The Dirt Bike afghan is fun to do in either SC or TSS and is a great afghan for anyone that enjoys riding! This listing includes two (2) separate pdfs – One is for SC and one is for TSS. TSS is worked right to left for each row and SC is worked back and forth (because you flip your work after each row) so the word charts are different for TSS and SC so please make sure you’re using the correct pattern for the one you want.